With winter approaching, most of us won't think much of turning up the heat in our home. Gas-powered furnaces are heavily used in our region, but when not used and maintained properly, these modern marvels can be dangerous, and even fatal. 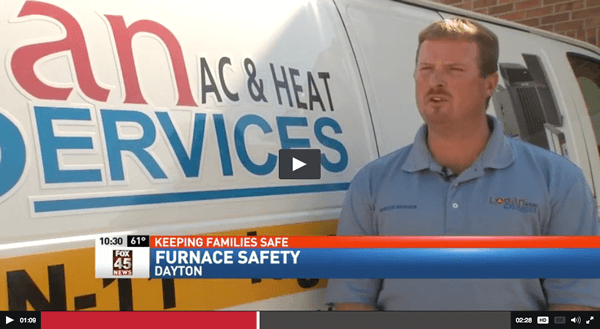 Check out our segment on the local news to learn why it's very important to educate yourself on furnace safety. Stay safe this heating season! Let our friendly team know if we can help you with your heating and cooling needs in Dayton, Cincinnati and Columbus today!